Hence, when I travel in my room, I seldom keep to a straight line. From my table I go towards a picture which is placed in a corner; thence I set out in an oblique direction for the door; and then, although on starting I had in-tended to return to my table, yet, if I chance to fall in with my arm-chair on the way, I at once, and most unceremoniously, take up my quarters therein. Min Song’s new body of work continues her exploration into the roles that sculpture and photography have within the realms of perception. 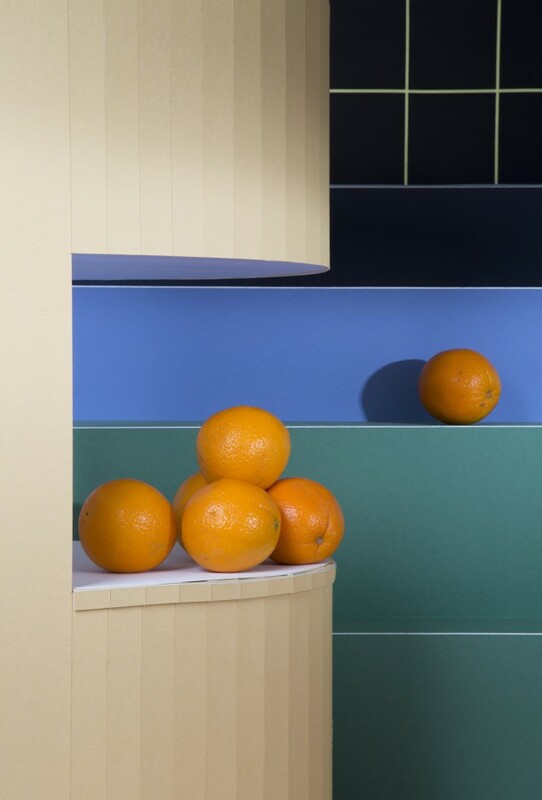 Familiar objects – an orange, oyster shell, midcentury modern clock, cue ball or slab of marble – appear in multiple artistic formats and contexts. Falling somewhere in between reality and simulacrum, or what is perceived and what is conjured, the intentionally blurred lines of continuity are further expanding by the modes of production used: resin casting, photo-based software, industrial hydro-dipping, Plexiglas and wood working. As a point of departure, Song looked to Xavier de Maistre’s 1794 travel narrative Voyage Around My Room. Imprisoned in his room for 6 weeks as a punishment for dueling, de Maistre takes a discursive grand trip around the room, moving from object to object, extolling the virtues of imagination and the “realm of enchantment” as an alternative to reality. Song’s primary interest lies in the relationship between the image and the object. The dynamic fashion in which this dialogue is explored, through individual works of art and the exhibition as a whole, bares a translation that can be sharpened or abstracted. Here, the traditional notion of the “still life” is intact while mnemonics, pleasure and distortion create a conceptually hyper-aware update. Min Song (b. 1982) lives and works in Los Angeles. Song received her MFA from the University of Illinois at Chicago in 2011 and graduated from the School of the Art Institute of Chicago with her BFA in 2003. She was a Joan Mitchell MFA Grant nominee in 2011 and was awarded the 2010 University Fellowship from UIC. Song has had solo exhibitions in Chicago, Los Angeles and Miami. Her work has been featured in group exhibitions at the Bemis Center for Contemporary Art and numerous other venues.